As of Friday morning, the average temperature for the month was -9.33°C, surpassing the average of -9.27°C in 1936 that is currently ranked the second coldest February, according to the National Weather Service. 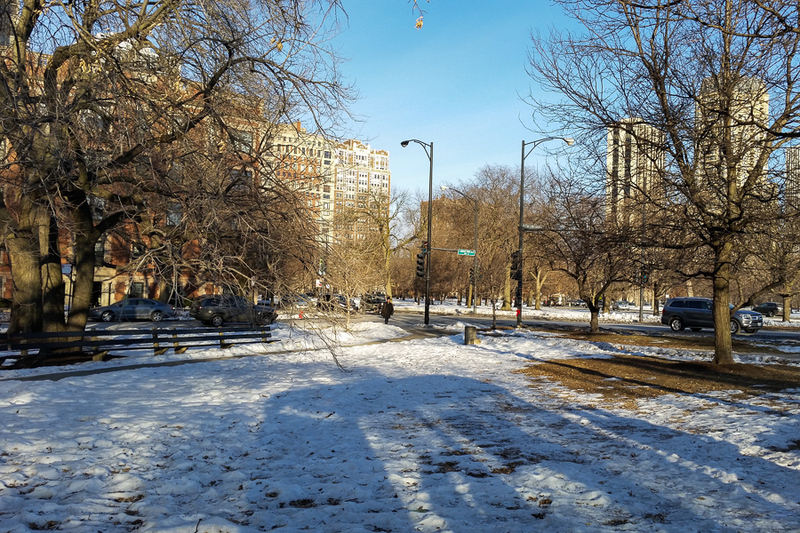 Could Chicago see its coldest February ever? That record, an average of -9.67°C, was set way back in 1875. This month currently ranks as the third snowiest February on record with 671 mm recorded at O'Hare International Airport. The second snowiest February was back in 1896 with 706 mm, according to the weather service. We're overjoyed, really, this is a great honor. A Chicago consulting firm plans to hire 200 people this year, a one-third expansion of its staff, to keep up with increased business from middle-market companies needing help with business and technology strategies. The 200 new hires will be primarily project managers and experts in banking, retail, healthcare, manufacturing, and energy and utilities. Of West Monroe’s 600 current employees, 400 work at the Chicago headquarters, which the company is expanding by 8,000 square feet, bringing the total space to 50,000 square feet, primarily to handle the expansion of a call center in which technologists solve clients’ problems. Well, 200 new employees are a lot to absorb. I'm still absorbing it myself. I may have a more considered reaction later, but at the moment, I'm wondering where they expect to find 200 qualified people in the current environment. Let's acknowledge, right from the start, that there's a lot to like about Chicago's long-awaited, much-anticipated Central Loop BRT project, which is scheduled to break ground in March. The basic skeleton is an accomplishment in its own right: nearly two miles of exclusive rapid bus lanes through one of the most traffic-choked cities in the United States. The Central Loop BRT will serve six bus routes, protect new bike lanes, connect to city rail service, and reduce travel times for about half all people moving through the corridor on wheels. Half. Officially, CTA says the Ashland plans are proceeding at pace. The agency is considering public feedback gathered during community meetings in 2013 and working through the "higher-than-anticipated number of comments," as part of the standard procedure for a federal environmental analysis. Meantime, CTA continues to pursue funding for the project's next design. Spokesman Steele says it's "too soon to tell" what a timeline for the corridor will be. BRT solves the problem of getting people around quickly without building new rail lines. Chicago's geography makes BRT development a lot easier than it would be in other cities as well. It would be cool if, a year from now, I'm whizzing to the Loop in 20 minutes by bus, instead of my current 40. This morning's -10°C temperatures weren't that much better than yesterday's, but it still felt warmer, maybe because we got all the way up to -2°C by 6pm. More cold coming. Spring, too, should be here in a couple of weeks months. Chicago's incumbent mayor now is destined for an April 7 runoff election against Cook County Commissioner Jesus "Chuy" Garcia in an unpredictable battle over the city's future and the right way to get there. It was agonizingly close for him, but still short of the 50 percent-plus-one vote he needed to avoid a runoff. So, six weeks from now, we have another election. It's not clear at this point which of them will win, because all of Emanuel's challengers appear to be endorsing Garcia now. The temperature in Chicago hasn't gone above freezing for 12 days, and got down to -20°C only last night. So right now, at -2°C, and with the sun out, it feels positively tropical. Unfortunately, the forecast doesn't show us actually getting above-freezing temperatures as far out as it goes. Medium-term forecasts also show below-normal temperatures all the way out through mid-March. And in the latest bit of good news, the Great Lakes are almost 86% covered in ice, close to the record of 94.7% set in 1979. For perspective, a year ago the lakes got up 93% coverage and the last ice didn't completely melt until June 12th. So, we could be in for another chilly spring and cool summer, followed by (one hopes) a mild autumn, just like last year. And because warmer temperatures to the west of us seem to have caused this pattern to emerge both last year and this year, it could become a permanent feature of north-eastern North America's climate. Also, if you live in Chicago, go vote today. Saturday night I attended the Chicago Symphony's performance of Mozart's Piano Concerto #24 and the Requiem, both pieces I know well. I was disappointed, particularly in Riccardo Muti's direction of the Requiem. The Chicago Symphony Orchestra and Chorus comprise some of the best musicians in the world. The CSC, in fact, had a reputation for being the best chorus in the world when I was growing up. But Saturday, they seemed robotic. Every note, rhythm, cutoff, dynamic, and pronunciation was perfect; and yet, the performance was boring. It was like watching a 1-0 baseball game that goes into extra innings. Every play might be perfect but the overall effect is "so what?" Muti used the traditional Süssmayr completion as well as a now-untraditional full complement of the CSO Chorus. While grand in sonic scale, the chorus sounded top-heavy in this repertory, even with dexterous balancing. Yet the overall effect was of an emotionally cool and expressively straitened performance, lacking intensity, energy and an engagement with the spiritual drama of the mass setting. Everything emerged clearly and forcefully yet the roiling drama and interior introspection were only fitfully evident. The CSO Chorus, directed by Duain Wolfe, performed with customary polish and corporate cohesion, though here too there was little expressive warmth and too much generalized singing in ensemble passages. Perhaps the performance will fill out over the weekend, but Thursday night it felt very much like a firmly drawn outline of the score rather than a deep and probing account of the drama within. What would have made it better? Vocal lines that went someplace; a smaller group; and in some parts, quicker tempi. I texted a friend later on: "Epiphany: Apollo can be a better chorus than CSC." We'll prove it a week from Saturday at our spring concert, too. (Saturday March 7th, 7:30pm, Rockefeller Chapel. Buy tickets now! The van was found abandoned near 21st and Wabash — dogs still inside — by a Good Samaritan who notified authorities. On Wednesday, two gunmen took the van, which was left running and unattended in the 800 block of West Superior, police said. Though the driver wasn’t in the van when it was taken, the robbers did point a gun at someone who tried to stop them, police said. Joseph Giannini, owner of the dogsitting service that owned the van, Urban Out Sitters, said the incident was “probably the most devastating thing I’ve had to deal with” in 15 years of business. He said a driver he employed was getting ready to take the dogs home when one of the armed men approached and told him to get out of the van — a story that doesn’t precisely match the version of the offense police gave later Thursday. In the video footage, the two assailants approached the vehicle. The vehicle was not running or left unattended. The driver had two keys one was in the van ashtray, the other with him on his key ring. He thought he locked the car, as we have a two key system in place. In the footage, you can see the van’s exhaust spurt out by the engine being turned over. The van was located directly near the front door of the facility (with the driver only steps away in front of the van) by the time he could get the vehicle, the two men already started the car, reversed the van, and sped away. At this point, the driver and a UOS dog walker immediately jumped into action, got in their car and bike to follow the carjacked vehicle. The driver (witness) and walker chased after the van and the driver confronted the two thieves at one of the intersecting streets near Milwaukee, Chicago and Ogden area. At this point the driver (witness) cornered them. At the vehicle one of the thieves in the van pointed a gun at the driver (witness) and told him to exit away from the vehicle. I was shocked and appreciative how he put his life in a dangerous situation by chasing and confronting the assailants. UOS is working diligently with investigators (which you can verify) to get camera footage from the blue light cameras showcasing the secondary confrontation Urban Out Sitters is also organizing a search for the two assailants by offering a reward to anyone who may know who they are. I'm glad the dogs got home safely, and that it wasn't as cold Wednesday night as it was other nights last week. I'm sticking with UOS as I have for 7 years so far.